Celebrate the arrival of Spring during Wildseed Farms’ annual Wildflower Celebration, beginning this Saturday, April 2 and running through the 17th. Live music by the Raggedy Cats and chuckwagon cooking will be available on weekends during this event at Wildseed Farms, which is open daily from 9:30 a.m. until 6:00 p.m. 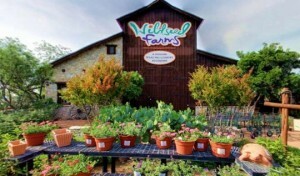 Located on Hwy 290 East, Wildseed Farms is a treat for any garden fanatic or nature lover.